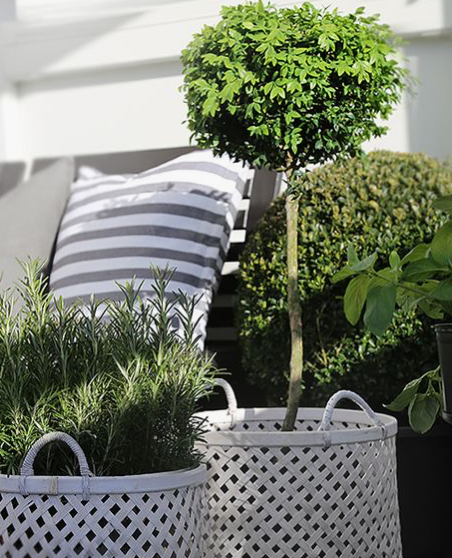 Garden Styling is an extension of Interior Design - except that it is outside. Therefore the principles of Interior design should be applied to the garden styling. Good interior design or styling portrays the personality of the home, and says a lot about who lives there. It creates a seamless connectivity between rooms, providing an overall sense of subliminal character. If you have ever used a well known builder to build your new home, then a visit to the display village would have confirmed your decision in terms of the design and functionality of the house. However, the styling of the house may well have been the reason you fell in love with the it there and then. Similarly, if you purchased an existing home, and resolved that you were satisfied with it’s location, design layout and functionality, chances are it was the styling of the home that influenced your decision to offer the price that you did. Yes in today’s market good agents employ a professional stylist to personalise the home to engage with the target market. Hello garden. Modern life beckons that the backyard becomes an outdoor room. Given our smaller land sizes, it is essential that it is well designed to maximise its potential. As an outdoor room that is an extension of the internal living space, it too should be styled by a professional. What does the garden say about who lives there? What is the role of a Garden Stylist? 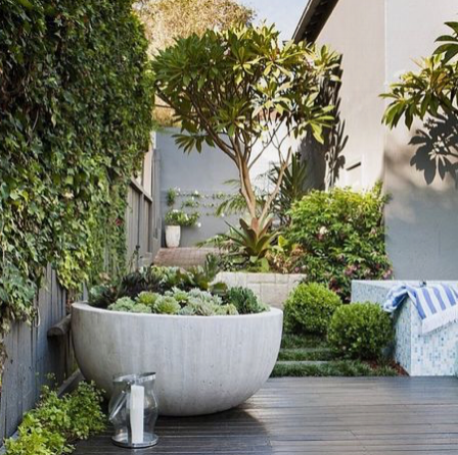 A good Garden Stylist will want to get to know the people that live at the property, their lifestyle choices, tastes, style and personality, all of which should be expressed both inside the home and in the garden. Key elements of interior design are the interplay of scale, with color, texture, materials, lighting and mood. It is the same for the garden. A Garden Designer’s first responsibility is for functional design delivery, whereas the role of the Garden Stylist is to provide the tweeks to ensure the garden is uniquely you. They can be the same person provided there is an appreciation of each role. Imagine the amazing impact you will have on your guests when they first walk out to your entertaining garden area, appreciating the overall ambience of the space. When they notice the style of your table setting, then all of a sudden the food is definitely going to be far more appetising. In winter, a throw across the back of a chair near a fire pit will be so enticing you will want to stay outside longer. Subtle stylish mood lighting on a balmy summer’s evening may well be a contributor to the success of the party. First impressions make a lasting impression, and when it comes to real estate, first impressions add value. Imagine you were selling your home and you engaged a professional stylist to project a distinctive home, simply so as to attract more buyers to pay a higher price. Why wait until you are about to sell. Style your home and garden now, not only to add to it’s value, but for the enjoyment of your family and friends. You will be so glad you did. Want to know more….need some professional help, call me now for a no obligation free chat.